January 21, 2010 will go down as a dark day in the history of American democracy, and its decline. The editors of the New York Times did not exaggerate when they wrote that the Supreme Court decision that day "strikes at the heart of democracy" by having "paved the way for corporations to use their vast treasuries to overwhelm elections and intimidate elected officials into doing their bidding" -- more explicitly, for permitting corporate managers to do so, since current laws permit them to spend shareholder money without consent. Nor does Michael Waldman, executive director of the Brennan Center for Justice at N.Y.U. School of Law, exaggerate when he writes that this exercise of the radical judicial activism that the rightwing claims to deplore "matches or exceeds Bush v. Gore in ideological or partisan overreaching by the court. In that case, the court reached into the political process to hand the election to one candidate. Today it reached into the political process to hand unprecedented power to corporations." The Court was split, with the four reactionary judges (misleadingly called "conservative") joined by Justice Kennedy in a 5-4 decision. Chief Justice Roberts selected a case that could easily have been settled on narrow grounds, and maneuvered the Court into using it for a far-reaching decision that overturned precedents going back a century that restrict corporate contributions to federal campaigns. In effect, the decision permits corporate managers to buy elections directly, instead of using more complex indirect means, though it is likely that to avoid negative publicity they will choose to do so through trade organizations. It is well-known that corporate campaign contributions, sometimes packaged in complex ways, are a major factor determining the outcome of elections. This alone is a significant factor in policy decisions, reinforced by the enormous power of corporate lobbies, greatly enhanced by the Court's decision, and other conditions imposed by the very small sector of the population that dominates the economy. A very successful predictor of government policy over a long period is political economist Thomas Ferguson's "investment theory of politics," which interprets elections as occasions on which segments of private sector power coalesce to invest to control the state. The means for undermining democracy are sure to be enhanced by the Court's dagger blow at the heart of functioning democracy. Some legislative remedies are being proposed, for example requiring managers to consult with shareholders. At best, that would be a minor limit on the corporate takeover of the political system, given the very high concentration of ownership by extreme wealth and other corporate institutions. Furthermore any legislation would have been difficult to pass even without this new weapon provided by the Court to unaccountable private concentrations of power. The same holds, even more strongly, for a Constitutional amendment that Waldman and others think might be necessary to restore at least the limited democracy that prevailed before the decision. 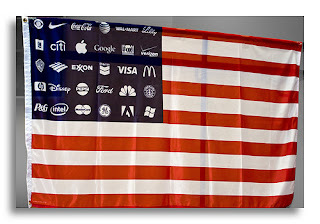 In his dissent, Justice Stevens acknowledged that "we have long since held that corporations are covered by the First Amendment." That traces back to the time when the 1907 Tillman act banned corporate contributions, the precedent overturned by the Court. In the early 20th century, legal theorists and courts came to adopt and implement the Court's 1886 (Santa Clara) principle that these "collectivist legal entities" have the same rights as persons of flesh and blood, an attack on classical liberalism that was sharply condemned by the vanishing breed of conservatives as "a menace to the liberty of the individual, and to the stability of the American States as popular governments" (Christopher Tiedeman). In later years these rights were expanded far beyond those of persons, notably by the mislabeled "free trade agreements." The conception of corporate personhood evolved alongside the shift of power from shareholders to managers, and finally to the doctrine that "the powers of the board of directors ... are identical with the powers of the corporation." Furthermore, the courts determined that these state-established "natural entities" must restrict themselves to pursuit of profit and market share, though the courts did advise corporations to support charitable and educational causes, or an "aroused public" might take away the privileges granted to them by state power. As corporate personhood and managerial independence were becoming established in law, the control of corporations over the economy was so vast that Woodrow Wilson described "a very different America from the old, ... no longer a scene of individual enterprise ... individual opportunity and individual achievement," but an America in which "Comparatively small groups of men," corporate managers, "wield a power and control over the wealth and the business operations of the country," becoming "rivals of the government itself." In reality, becoming increasingly its masters, a process that has extended since, and is now given even greater scope by the Roberts Court. Justice Kennedy's majority opinion held that there is no principled way to distinguish between media corporations and other corporations: that is, no principled way to distinguish between corporations that are bound by law to restrict themselves to gaining profit and market share from those that in principle have the role of providing news and opinion in an unbiased fashion. Media corporations have indeed been criticized for violating this trust, but never so severely as in Kennedy's analogy. The Court decision followed immediately upon another victory for wealth and power, the election of Republican candidate Scott Brown to replace the late Senator Edward Kennedy, the "liberal lion" of Massachusetts. This was depicted as a "populist upsurge" against the liberal elitists who run the government. The voting data reveal a rather different story. Very high voting in the wealthy suburbs carried Brown to victory, thanks to lower turnout in the urban areas that are largely Democratic. "55% of Republican voters said they were `very interested' in the election," the Wall St. Journal reported, "compared with 38% of Democrats. It was indeed an uprising against Obama's policies: for the wealthy, he was not doing enough to enrich them further, while for the poorer sectors, he was doing too much to achieve that end. Doubtless there was some impact of the populist image crafted by the PR machine ("this is my truck," "army guy," etc.). But this appears to have had only a minor role. The popular anger is quite understandable, with the banks thriving thanks to bailouts while unemployment is above 10% and in manufacturing industry at the level of the Great Depression, one out of six unemployed, with few prospects for recovering the kinds of jobs that are lost, with the increasing financialization of the economy and concomitant hollowing out of productive industry. Brown presented himself as the 41st vote against health care -- the vote that could undermine majority rule, by virtue of the current Republican tactic of regular resort to filibuster to enable a unanimous minority bloc to bar any legislation put forth by the administration, a novelty in American politics. It is true that Obama's health care program was a major factor in the election, and the headlines are correct when they report that the public is increasingly turning against it. The poll figures explain why: the bill did not go far enough. A Wall St. Journal/NBC poll found that 64% of voters disapprove of the Republicans' handling of health care (55% disapprove of Obama's handling). Among Obama voters who voted for Brown, 60% felt that the health care program did not go far enough (85% among those who abstained). In both categories, about 85% favored a public option. These figures accord with other recent polls that show that nationwide, the public option was favored by 56%-38%, and the Medicare buy-in at age 55 by 64%-30%; both abandoned. 85% believe that the government should have the right to negotiate drug prices, as in other countries; Obama guaranteed big Pharma that he would not pursue that option. Large majorities favor cost-cutting, which makes good sense: US per capita costs for health care are about twice those of other industrial countries, and health outcomes are at the low end. But cost-cutting cannot be seriously undertaken with largesse showered on the drug companies, and health care in the hands of virtually unregulated private insurers, a very costly system unique to the US. The Supreme Court decision raises significant new barriers to overcoming the serious crisis of health care, or to addressing seriously such critical issues as the looming environmental and energy crises. And the damage to American democracy can hardly be overestimated.